Friend of mine has access to a house up here the long weekend coming up so I'm going to bring my boat up. Never boated the lake and curious about any big surprises. Looks pretty boater friendly from what I've seen. The house we have is in sebago cove... anyone know if I can get in there and under the bridge with a formula 242? Thanks in advance. Also is the songo river deep all the up to long lake? Sebago Cove (Muddy River if you're buying, Sebago Cove if you're selling..lol) is shallow and the entrance to the cove is rocky but marked well. Pay attention between Fryes Island entering Jordan Bay. There are rocks on the shore side but also marked well. The lake is big and very deep. Not too much to worry about. It's marked well. Take a trip up through the Songo River, that leads into Brandy Pond and then into Long Lake. Much more to do on the Long Lake side. Your best bet for launching is probably at the Sebago Lake State Park ramp. -Very nice ramp btw. -If you see a blue/white Cigarette on the Songo, say hello, that's me. I believe the State Park ramp was recently redone? I haven't been to the lake in a while, do you think I could get my 35 in at that ramp? I remember it being very steep and possibly a problem for long trailers getting hung up on the top? Now with the dock in the middle it will be tough for a long trailer to enter the right ramp (if looking at the water) but the left ramp is almost a straight shot in! Awesome Thanks guys! I will be up Saturday til Tuesday. I'm going for a single launch and keep it on a mooring but that's still up in the air. I think Sunday I will trip up through the songo to long lake then Monday explore sebago itself. 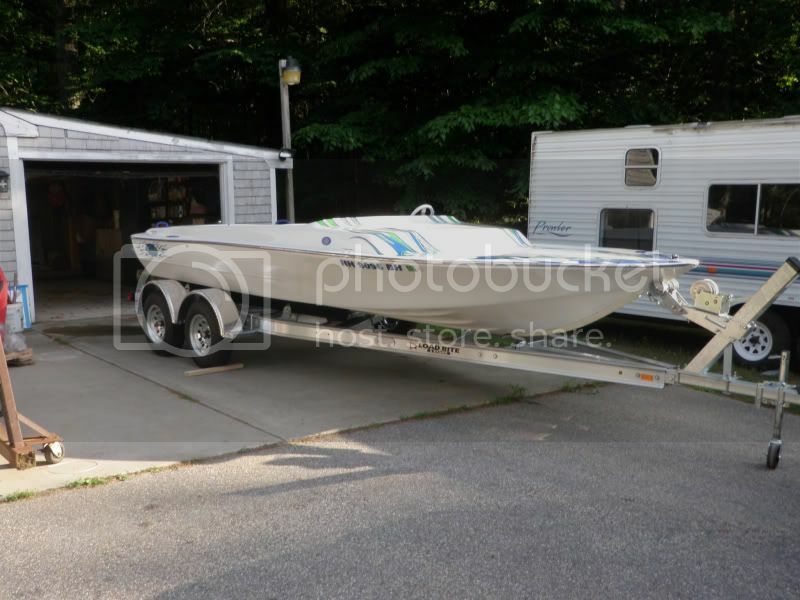 Havent decided yet but we will either be at the sandbar on Sebago (at the mouth of the river) on Saturday, the sandbar near the bridge on brandy pond on Sunday or vis versa! Stop by and say hi! I will be in my little jet boat! I need to get down there one of these days. Heading to boothbay for the weekend if anyone's around there.